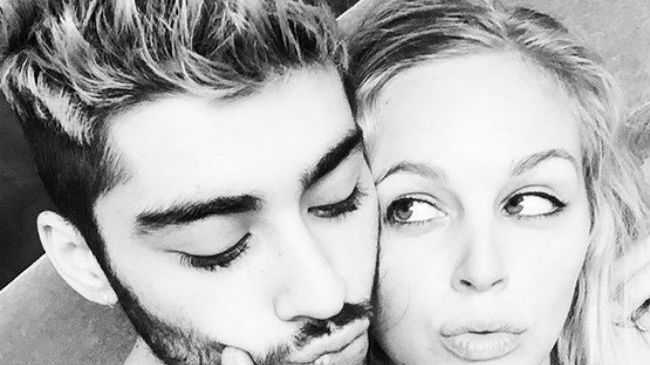 ZAYN Malik shared an intimate selfie with a mystery girl. The former One Direction heartthrob appears to have moved on from his ex-fiancee Perrie Edwards as he posted a shirtless snap of him cuddling up to another blonde on Instagram. While Zayn, 22, didn't caption the picture or identify his new crush, fans have pointed out the unidentified female looks very similar to Little Mix beauty Perrie. Zayn is currently living in Los Angeles working on his first solo album and it's thought he is planning a permanent move to the United States. A source said recently: "He definitely seems happier over there and doesn't act as though he wants to come back to the UK any time soon. "It's the lazy Californian lifestyle he loves. What he said at the party sums up his attitude. He's done with Britain." The heartthrob dumped Perrie by text in August and has since been linked to a string of women including model Neelam Gill and allegedly sent a naked picture to married singer Lily Allen. A source claimed: "Zayn fancies Lily and has made that very clear.